Technology keeps shaping our world every day. And the beauty of innovative technology is that it has no substitute. For instance, the United States automaker Tesla keeps unveiling superefficient solar cars every now and then. Technically, this implies that crude oil is likely going to significantly plummet over the next few years. Indeed, this simply means that renewable solar energy has become a substitute for petroleum, which is a fossil fuel. However, that’s not the case with technology – at least for now. So, as technology continues to advance, living without it has become inevitable. Although many people seem not to have a problem with that, they tend to downplay the fact that technology is leaving a worrisome precedent. 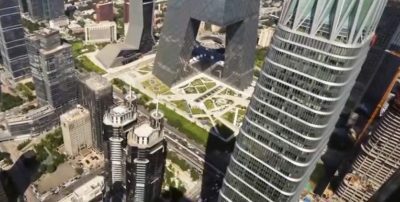 China, just like other advanced nations, is increasingly configuring its country in a way that everything is technologically driven. Evidently, China has made appreciable progress in evolving a robust FinTech industry with the implementation of cashless systems. Well, in contemporary Chinese society, people are encouraged to embrace cashless payment options. From Hong Kong to the rest of China, scores of brick-and-mortar stores forbid customers from making over-the-counter cash payments. Consequently, people prefer paying via a ubiquitous online payment platform, WeChat. According to the Cyberspace Administration of China, about 469 million people used mobile payment options for various transactions in 2017. Countless mom-and-pop shops advertise attractive QR code stickers of China’s leading online payment companies such as Tencent and Alipay. In truth, this trend will definitely make a tourist – from the US, Europe or elsewhere in the world where people commonly pay in cash – lose sleep. The cashless policy is changing the traditional Chinese culture – something that is so dear to the people. From the look of things, one can infer that China’s cashless policy is a sinister ploy that empowers the Chinese authorities to take full control of people’s cash in the local banks. This is one concept that many Chinese, mostly the mainland residents, have yet to understand. Unlike China, the U.S. believes that the fundamental rights of people must remain paramount in a futuristic world. Critics have, nevertheless, raised eyebrows over the policy as it has far-reaching adverse implications. 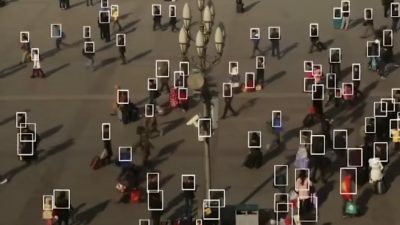 They stress that the cashless policy tends to gather data about people’s spending habits, thus denying them their fundamental rights to privacy. This makes perfect sense given that with mobile and online payment options, government/banks can track what, how, where and when people spend their monies. No doubt, this is the 21st Century, so China should join the rest of the world where human rights are fundamentally upheld. Additionally, China’s cashless policy must be implemented with caution. 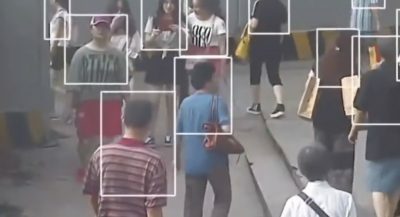 This has become critical given that the Chinese government is foisting it on its elderly people – just because they wish to collect troves of people’s data and monitor their spending habits. This act is preposterous, and every rational person must condemn it in the strongest possible terms. China has (and will continue to have) millions of elderly people. A cashless policy, which compels people to submit their personal information before spending their hard-earned money, must not be imposed on people. Without mincing words, the critics of this cashless policy have a strong argument, as it is a flagrant violation of fundamental human rights.